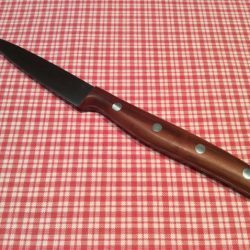 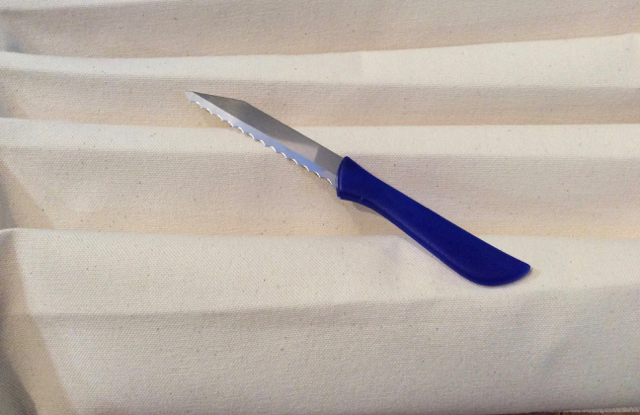 This blue-handled paring knife has an extremely sharp scalloped blade which slices through doughs of many types very well, especially those with additions of seeds, flakes or nuts. 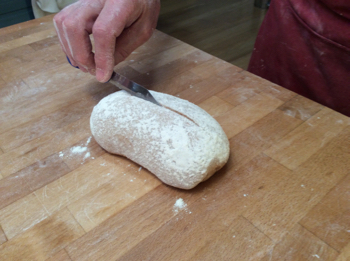 Its sturdy handle gives you plenty to grip on as you slash the dough with rapid strokes and little downward pressure (to avoid collapsing the dough). 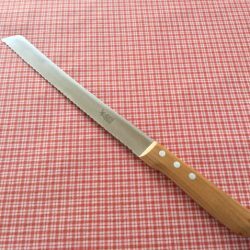 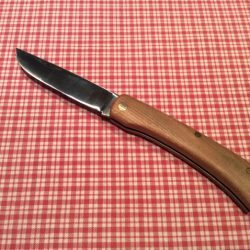 The blade is 86mm long and the total knife length is 175mm.